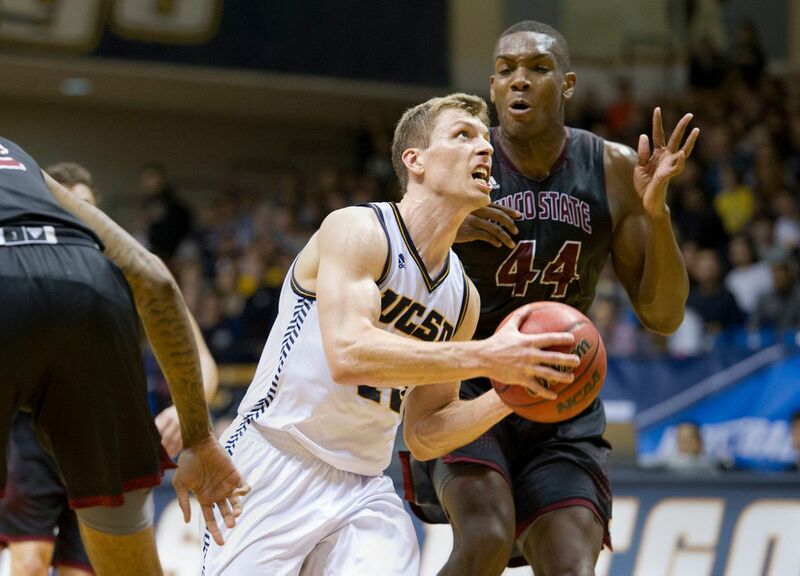 Whether it was on the basketball court or in the classroom, Service High grad Adam Klie frequently pushed the limits of what it means to be a student and an athlete during his tenure with the UC San Diego men's basketball team. On occasion, the basketball court was his classroom. Klie recalled an instance where he had to take a physics quiz at the scorer's table before a game. As his teammates practiced layups and jump shots around him, Klie was doing equations and formulas. "I'm doing this 60-minute physics quiz while my teammates are shooting around," Klie said. "They're all running by me, laughing at me. "I think a couple took pictures of me. It was all just a real funny thing." The Division II Tritons didn't beat Division I UC Irvine that day, but it wasn't a complete loss for Klie. He got 100 percent on his quiz. "I did great on the quiz, the game didn't go so well," Klie said. "The funniest thing about all that was my teammates love to give me a hard time about school, and they expect me to get all A's and everything." Klie created those high expectations for himself by constantly exceeding expectations. The 6-foot-4 senior guard was a two-time Academic All-American and during his senior season was named Player of the Year in the California Collegiate Athletic Association. He is the Triton's Division II career leader in points (1,524) and rebounds (625), and he's on pace to graduate this spring with a 4.0 GPA in bioengineering. He also led the Tritons to a CCAA championship and the West Region title game this season, averaging team-highs in points (15.1 per game), rebounding (6.3) and assists (4.7), and he concluded his career with a showing in the NCAA Division II All-Star game. But Klie's journey to basketball stardom goes back to Service, where he joined new coach Tyler Moor and a three-win Cougars squad as a freshman in 2010. Service quickly improved, finishing third in the state tournament in 2011 and runner-up in 2012 and 2013. Klie, who was named the Alaska Gatorade Player of the Year during his senior season in 2013, said Moor and assistant coach Tim Scott were instrumental in helping him prepare for basketball in college. "They are the ones who really helped me understand what it was going to take to play at the next level," Klie said. "Being a part of the Service basketball program (really) had an impact on me going forward." 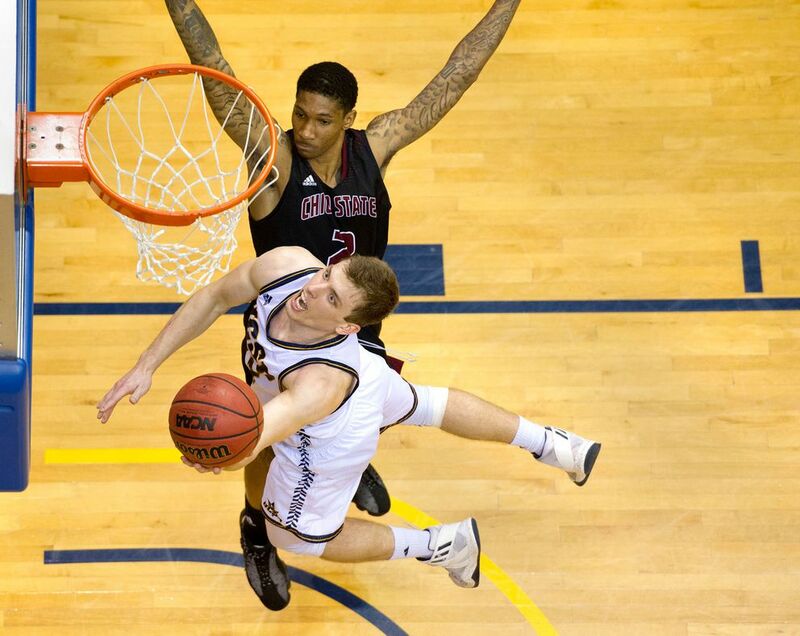 Just like when he joined Service, UC San Diego was coming off a losing season when Klie arrived. And just like the Cougars, the Tritons improved each of Klie's four seasons, capped with a program-record 27 wins this season. Klie said he's more proud of his team's improvement than any of the personal accolades he's accumulated. "Each year we won more games, we were more competitive against better teams and we had a chance to win the region championships the last two years," he said. "The steps we've taken as a program have been very fun to be a part of and I can look back and say I'm proud of that." Growing up, Klie dabbled in other sports like baseball and hockey, and he developed a love for soccer during a three-year period when his family lived overseas in Moscow. But he always came back to basketball — the sport his dad played in college. His father, Ross, was an Academic All-American at Missouri University of Science and Technology. "He spent countless hours with me in the gym, rebounding for me, working out with me, critiquing me — whatever it was," Klie said. "A lot of the values that I hold pretty close to me come from seeing the way he does things." Even though his basketball career is over, Klie said he plans to continue his education at UCSD. He wants to pursue a postgraduate degree in bioinformatics — a field of study that uses computers to help fix biological problems. As for basketball, the moments he spent with his teammates after a big tournament or championship win are what Klie said he'll miss most about competing on the court. "Whenever you sit there and wait for your coach to come in, then when he comes in and you're all excited and jumping around — those moments are the ones I remember the most from my experiences as a collegiate basketball player," Klie said.